B. The network administrator can configure static secure or sticky secure mac addresses in the voice vlan. C. The sticky learning feature allows the addition of dynamically learned addresses to the running configuration. D. The network administrator can apply port security to EtherChannels. 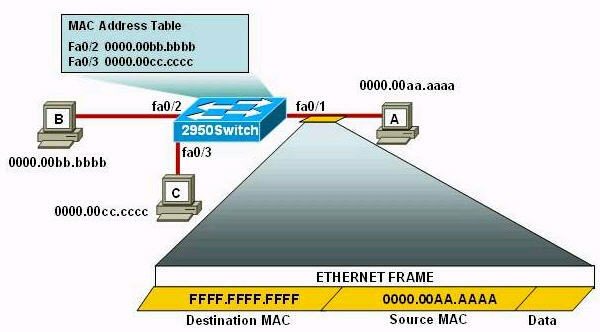 E. When dynamic mac address learning is enabled on an interface, the switch can learn new addresses up to the maximum defined. Question 2. The network administrator normally establishes a Telnet session with the switch from host A. The administrator’s attempt to establish a connect via Telnet to the switch from host B fails, but pings from host B to other two hosts are successful. What is the issue for this problem? Question 3. Which option is the default switch port port-security violation mode? Question 4. 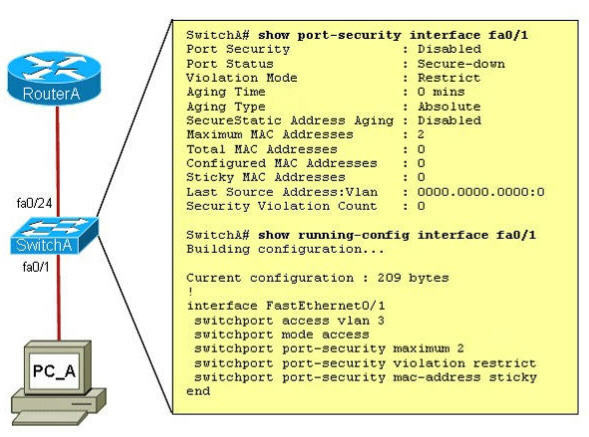 By default, how many MAC addresses are permitted to be learned on a switch port with port security enabled? Question 5. Which set of commands is recommended to prevent the use of a hub in the access layer? Question 7. Refer to the exhibit. The following commands are executed on interface fa0/1 of 2950Switch. Question 9. Refer to the exhibit. 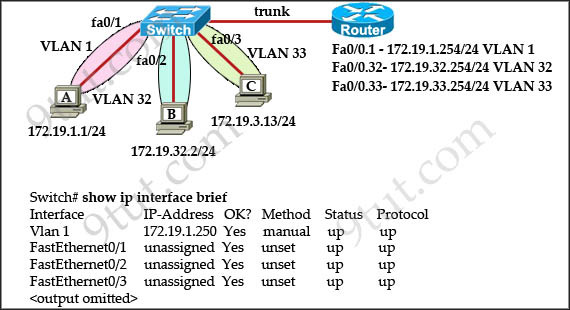 A junior network administrator was given the task of configuring port security on SwitchA to allow only PC_A to access the switched network through port fa0/1. If any other device is detected, the port is to drop frames from this device. The administrator configured the interface and tested it with successful pings from PC_A to RouterA, and then observes the output from these two show commands.